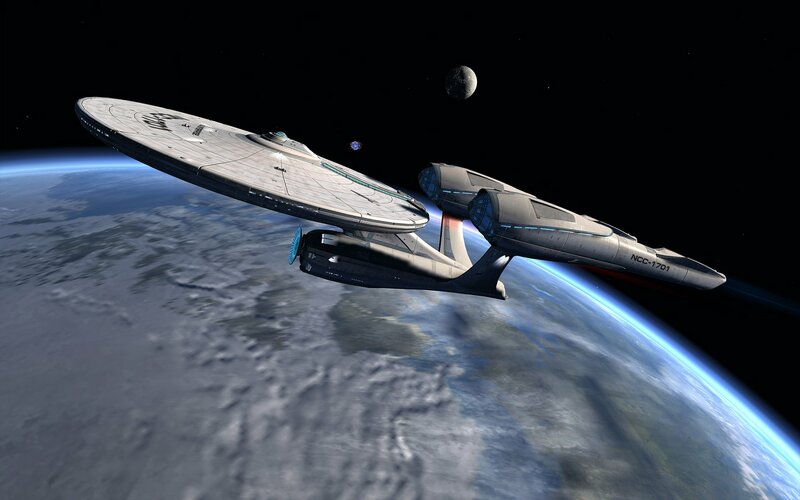 Why not gawp at Star Trek Online's new Original Series ships? Star Trek Online's new Original Series-themed Agents of Yesterday expansion launches tomorrow, as you may know. The good news is that, just as with the rest of the game's expansions, all the missions and progression content will be available to every player for free. The other news - it's not "bad" news per se - is that free-to-play games like Star Trek Online still do need to make money, and Agents of Yesterday is happy to offer a tempting stack of premium spaceships to charge for, including a playable Original Series Enterprise, and more than a dozen starships inspired both by the classic designs as well as more forward-looking ships as seen in future timelines explored by the shows, such as the 26th-century Enterprise-J model as seen in Star Trek: Enterprise. They've even thrown in a kicker by making the Enterprise and Vengeance from 2013's Star Trek Into Darkness films available via a loot box, which can be opened by keys, Dota 2-style, bought through real money or earned via in-game currency. 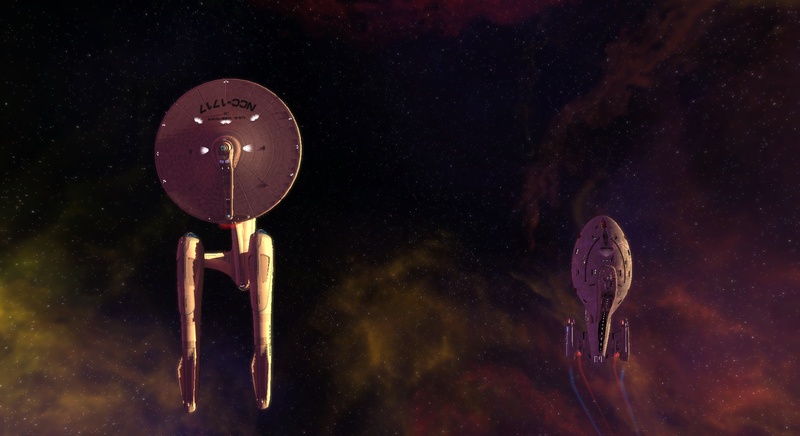 The playable versions of the ships even keep their absurdly oversized movie scales, with the "Kelvin timeline" (CBS' official name for the reboot universe) Constitution-class being more than twice the size of its TV series counterpart. All of that stuff costs money (or time, which is also money), but if you're just of a mind to window shop, Youtuber ZEFilms has your back, with fresh footage of the ships straight from Star Trek Online's test servers. The first three videos below cover the ships on offer for direct sale, while the playlist covers the Kelvin timeline ships.